Choosing the right social content distribution platforms is critical for any social media campaign. Whereas it was once contested, today few marketers question the business value of social media. However, some fail to measure the ROI of their social media activity, which keeps them from optimizing it to the fullest potential. Big data is helping marketers better understand, convey and increase the value of their social content. It is also helping them identify the best distribution channels and tactics to optimize their activity for the highest return. And let’s not forget – the companies behind the social platforms are also capitalizing off of data to help their advertisers get more bang for their buck. Here are some ways that smart marketers are benefiting from data as they strive to create high-performing campaigns. Choosing the right social content distribution platforms is critical for any social media campaign. Every marketer needs to keep extensive data on the ROI of any platform. In some cases, the ROI of combining Facebook organic posts with advertising is has been known to reach 450%, which beats many other social media platforms. However, the ROI of different platforms and tactics can vary by industry, region, customer demographic, conversion mechanisms and other factors. For example, the ROI of Pinterest ads may be much better than Facebook for brands that focus on female customers. RivalIQ’s 2017 Social Media Industry Benchmark Report illustrates this well by breaking down each mainstream social channel’s engagement rates per industry. If you’re handling social media marketing for a university, you might think that LinkedIn is where you should spend the most time, since higher education is generally associated with career advancement. 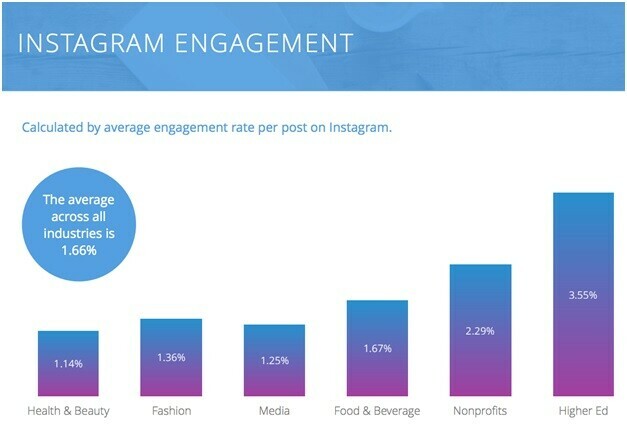 But the data shows that overlooking Instagram is a big mistake in this case. These are only benchmarks based on segmented data sets, mind you. Any given organization, in any given vertical, may see dramatically different results. The best marketers are those who know how to use sophisticated attribution analytics to track the ROI of different platforms to see which perform the best given the specifics of their situations. Should you promote your latest ebook with a video teaser on YouTube, where you include a link to the ebook in the description? HubSpot recently ran a series of experiments and discovered that this type of promotion can yield thousands of clickthroughs. Is it possible you’d do well to ask a select few niche influencers to post about how much they enjoyed the ebook on Facebook? Demand Gen’s data indicates that 87% of B2B buyers are more likely to pay attention to content that’s endorsed by industry-relevant influencers. Are you best off incentivizing your team members to share links to the ebook landing page? 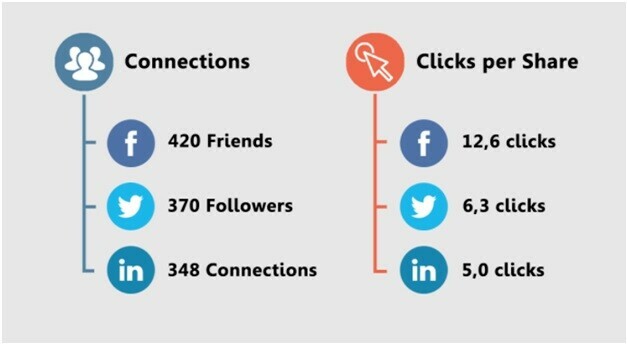 Employee advocacy platform Smarp has found that your average colleague’s social media audience consists of 348 LinkedIn connections, 370 Twitter followers and 420 Facebook friends, so unless your company is especially small or its social media audience is especially huge, there’s likely to be huge ROI on getting these people involved. By consistently experimenting with new tactics and tracking your results, you’ll be in the best position to maximize returns. So much of people’s activity online is about instant gratification. We head to digital channels to find the answers to our questions as soon as we formulate them and we connect with others on social media to heighten shared experiences like eclipses or sporting events. The real-time engagement opportunity on social is huge. Brands have just moments to react, which can be difficult without a deep understanding of your followers’ preferences, values and drives. Data, of course, makes it easier for marketers to gain insights into how customers respond to various messages over time, so you can prepare automated bot responses, for example, or real time marketing playbooks ahead of big events. Although Twitter chats have been around for longer, real-time social media engagement started to hit the mainstream in 2015. Social media “war rooms” began popping up at big brands for major events. And channels like Facebook Live, Periscope and a litany of messaging platforms like Telegram, Kik, WeChat, Peach and Messenger began to enable brands to see how customers respond to various messages and mediums. Data from your one-to-one “conversational marketing” threads video streaming sessions can help improve the outcomes of future video streaming campaigns. For example, if you notice that conversions are 30% higher if you keep your sessions under 20 minutes (presumably because people stop watching before hearing your call-to-action on longer videos), then you can focus on having shorter Facebook Live sessions in the future. Oreo did an excellent job of mass-audience “newsjacking” during the New Orleans blackout during the 2013 Super Bowl. Although this example has been cited over and over, it’s the perfect illustration of the power of data-informed real time social. 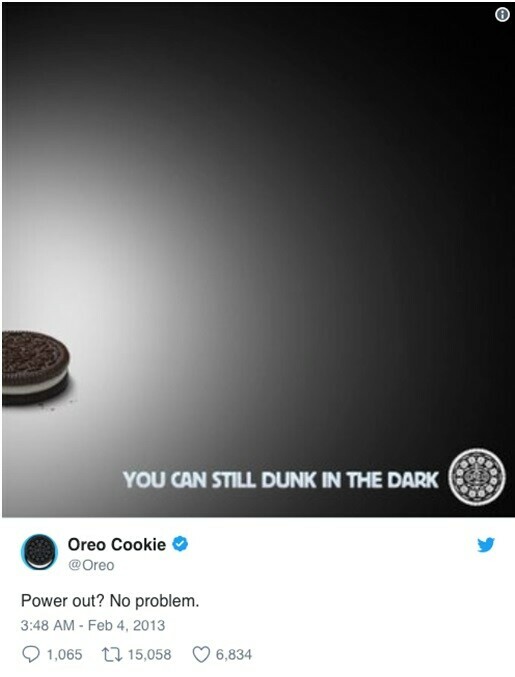 Oreo was only able to churn out that famous “You can still dunk in the dark” post because they had invested heavily in understanding their social audience years in advance and had a well-informed war room ready to go for the big event. This remarkable campaign wouldn’t have been possible without extensive data from their millions of followers. Social content distribution has become an integral part of most marketing strategies. It has a substantial ROI when executed properly. However, savvy marketers need to collect substantial data – and need to know what to do with the information they track – to realize its potential.